You can use the controls at the top of the screen to search or sort the information. 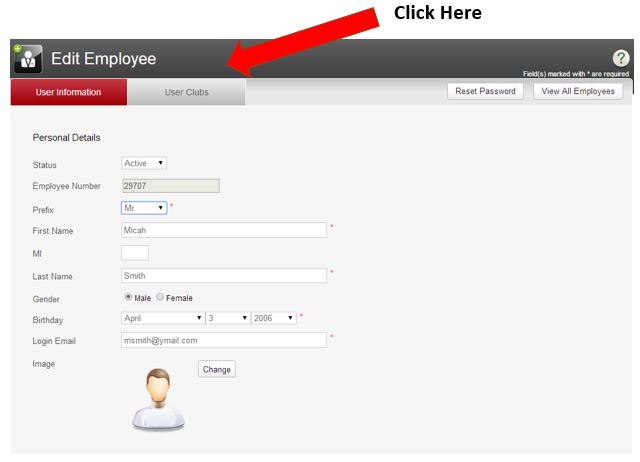 You can add a new employee by clicking Add Employee (in the upper-right corner of the screen). You can edit an employee’s information by clicking the icon in the Edit column next to their name. 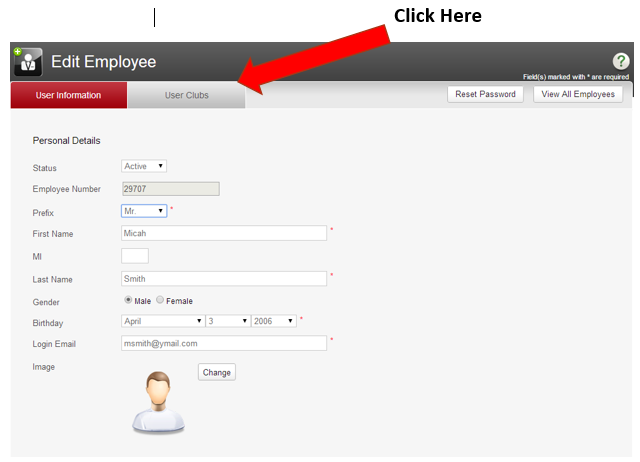 Enter the information about your new employee, then click Next. 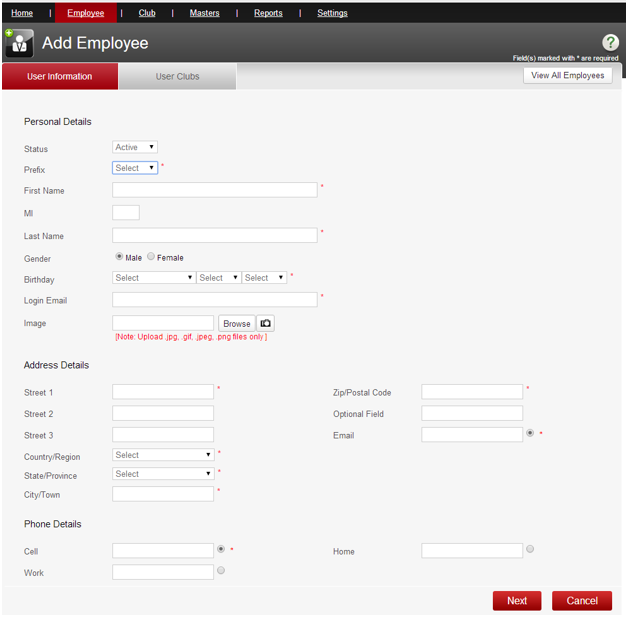 You will next have the option to assign your employee to one or more clubs. An employee can be assigned to one club, more than one club, or no clubs at all. Here are the effects of each of these situations. If an employee is assigned to just one club, then they will automatically be directed to that club whenever they log in. An employee may work at more than one of your clubs. If an employee is assigned to more than one club, they will receive an option, every time they log in, for which club they would like to view and work with. An employee can switch the Fitware system back and forth among any of the clubs to which they are assigned; however, they can only work on one club’s information at a time. An employee does not necessarily need to be assigned to any club. They can be entered just as a “placeholder” until they are assigned to one or more clubs. Note: If an employee is entered into the system, but not assigned to any club, they will still receive an email with their username and password. However, they will be locked out of the Fitware system until such time as they are assigned to at least one club. 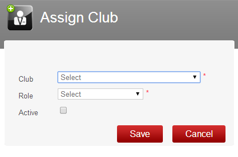 Select the club to which you wish to assign the employee (you can only select one club at a time). Select the Role from the drop-down list of choices. This determines the employee’s security privileges at that club. 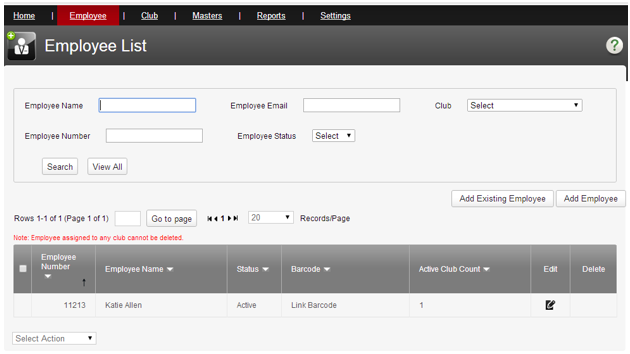 If you wish to assign the employee to more than one club, just click the Assign Club button as many times as needed. This shows you all club(s) to which the employee has been assigned. You can edit an employee’s Role, Commission, or Bonus at any of the club(s) to which they are assigned, by clicking the icon in the appropriate column. You can delete an employee from a club by clicking on the icon in the Delete column next to the club. Doing so does not delete the employee; it only deletes their association with a particular club. Click the icon in the Edit column next to the name of the employee. Click the icon in the Delete column next to the club for which you wish to remove this employee. This will not delete the employee; rather, it will simply remove their association with the selected club.